Training | Blue Ridge Services, Inc.
You’ve permitted, designed and constructed it. Now you’re handing it over to your crew to operate it. Can you afford not to train them? We can help you develop goals for your crew and then present them clearly and effectively. Because in the end, when the projector is turned off and the consultant leaves, did your crew learn practical solutions to real-life issues? That’s the measure of success for any training program. Our training programs are specifically customized to your facility, your team, and your unique needs. We can provide on-site training, online training, DVD/PowerPoint training programs, or a powerful combination of two or more training platforms. Our training topics include heavy equipment operations, safety, improving efficiency, planning, and more. And we can create training materials on any topic related to waste facilities. Every worker has a plan – That’s good. They may not all have the same plan – That’s bad. An effective training program presents the optimum plan and shows everyone where they fit in – That’s GREAT. We’ll help your crew make the jump from good to GREAT. We can customize a training plan that fits your specific needs. Contact us today! Email or call us 209.742.2398. We’ve trained thousands of workers at hundreds of training sessions across the United States. In fact, when it comes to landfill operations …we wrote the book. Why spend money sending someone to a conference, hoping they’ll learn something and bring it back to the rest of the crew? Instead, we’ll conduct customized, on-site training for your entire crew. Click here to find out more about our on-site/field training programs. We offer an ongoing online training option via our monthly webinars. 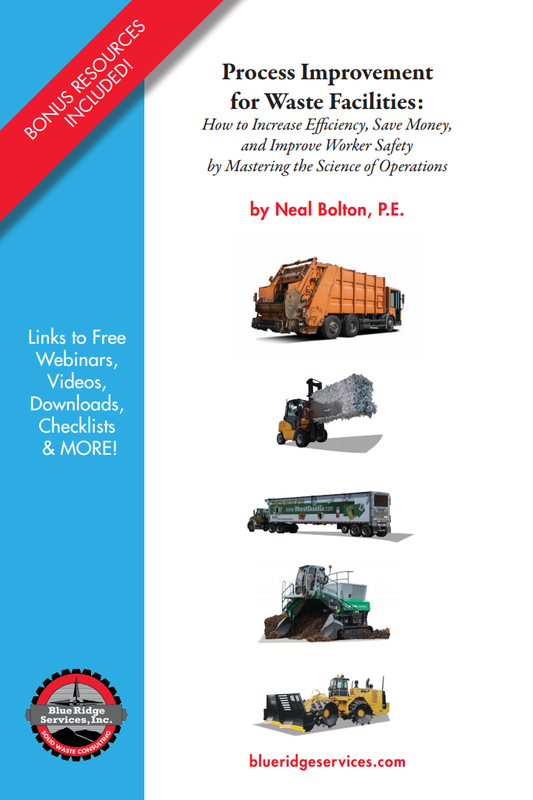 Taught by Blue Ridge Services president, Neal Bolton, these 1-hour webinars offer a comprehensive, expert instruction on a wide range of topics related to waste facilities. Click here to find out more about our online webinars and browse our list of topics. Tough financial times mean tight budgets. But less of a budget doesn’t change the fact that your crew still needs to work… and still needs to know how to work safely. We know money is tight, so we continue to offer our large library of safety training materials and resources for a competitive price and in a variety of formats. Click here to read more about our safety training. Did you know that most accidents at waste facilities involved customers? Are you educating them on safety issues? 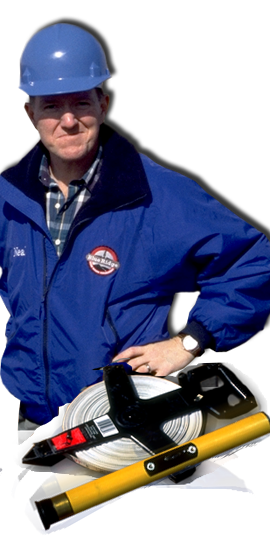 We can help you create a custom safety video designed for your customers. The waste industry's most comprehensive training library is now available online, on-demand 24/7. Click the logo to find out more. Master the science of operations, and improve worker safety, save money, and increase efficiency. FREE Download. The BRS Team… In Action!